A full PIRS, Postal Information Report is sent out for each mailing after it has been collected for posting. The report is a complete record of the mailing carried out and drills into fine detail. The report is provided by email. Hard copy reports are also available by post. If you would like to send a PIRS mailing report on to a client or associate the report can be branded with your logo. 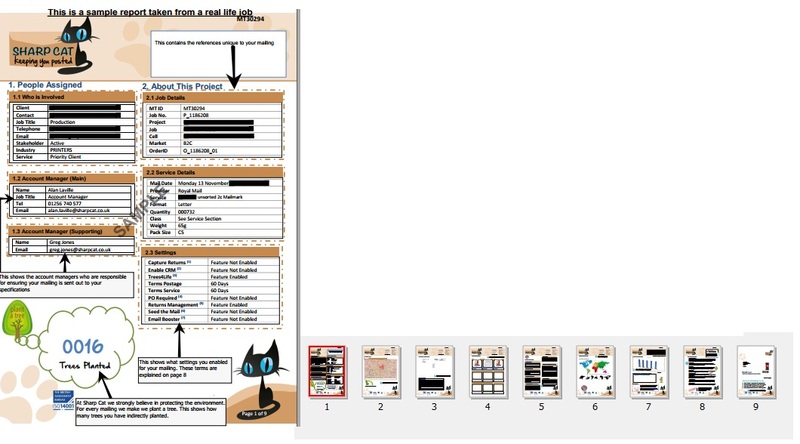 The PIRS Mailing Report is made up of 9=pages of detail which is sent to your inbox after your mailing has posted. 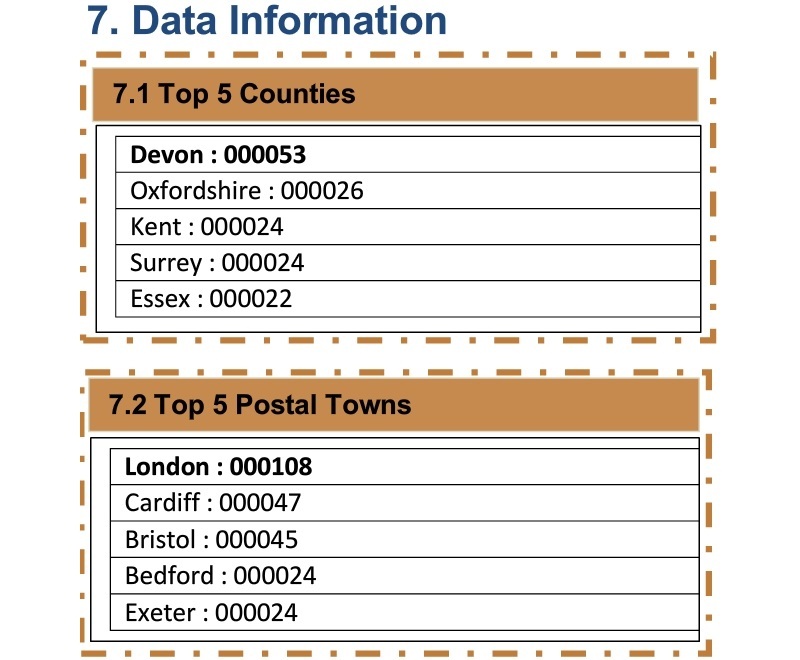 This report delves right into the mailing, summarising data used, items sent and to what type of database. At Sharp Cat we strongly believe in protecting the environment. For every mailing we make we plant a tree. 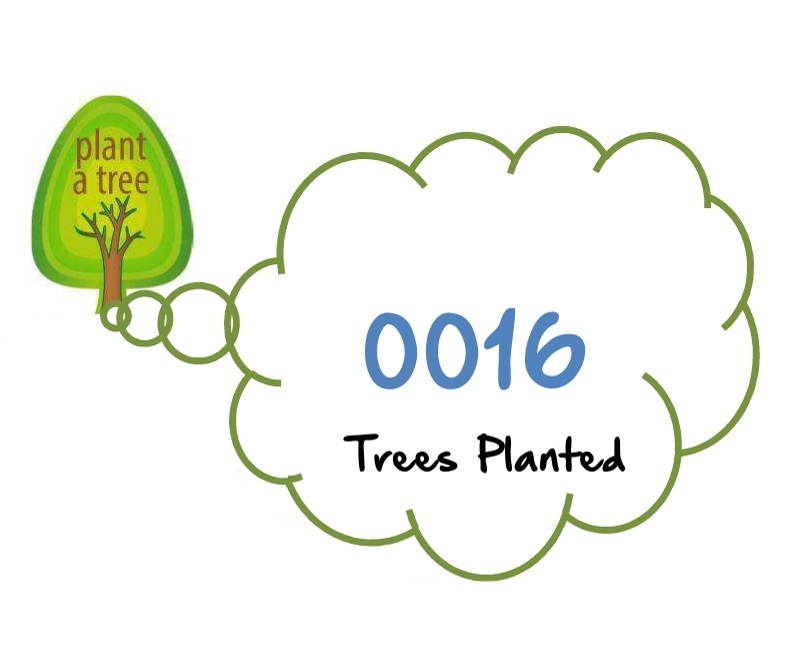 This shows how many trees you have indirectly planted. 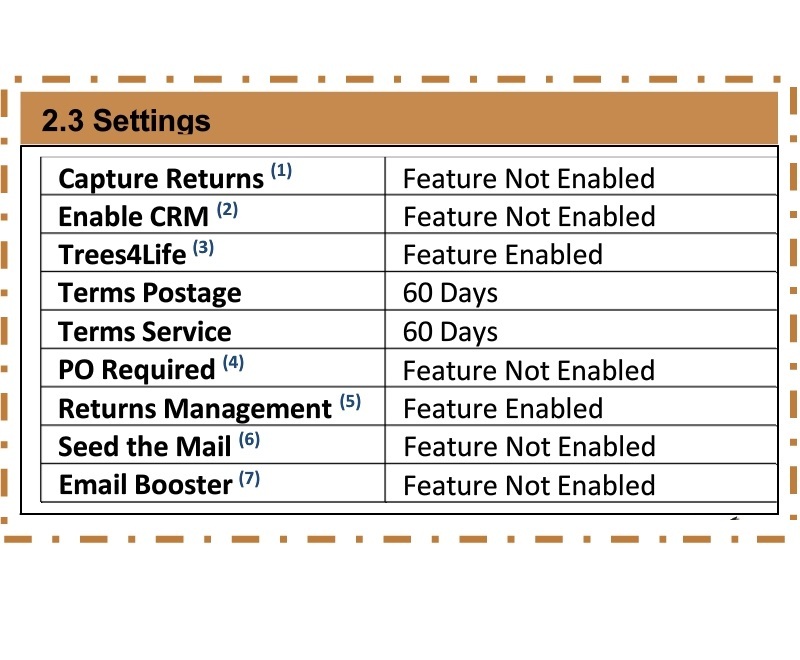 This shows what settings you enabled for your mailing. Using our bespoke data software we are able to provide you with useful summaries of your data! As part of our data cleaning services we will scan your data in order to provide you with useful summaries. 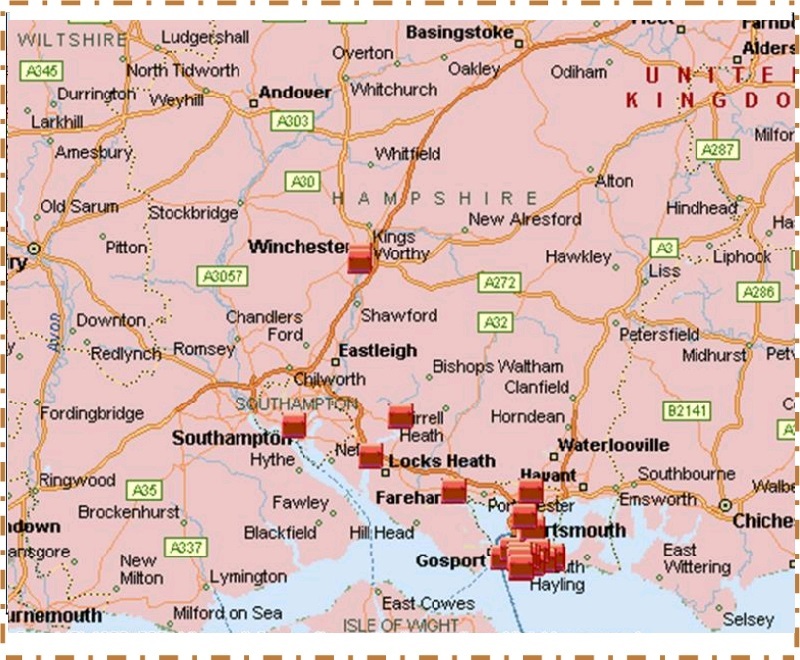 The map above will show you where your mailing has been sent out, based on the postcodes provided in the data. 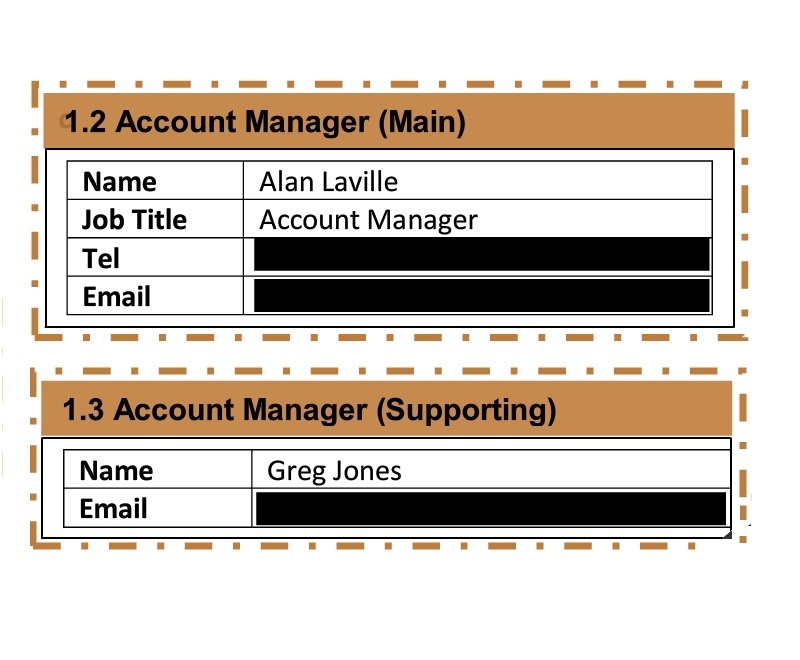 This shows the account managers who are responsible for ensuring your mailing is sent out to your specifications. You will always have two account managers to guide your project. We can add some branding to the reports if you would like so you can present them to your client. 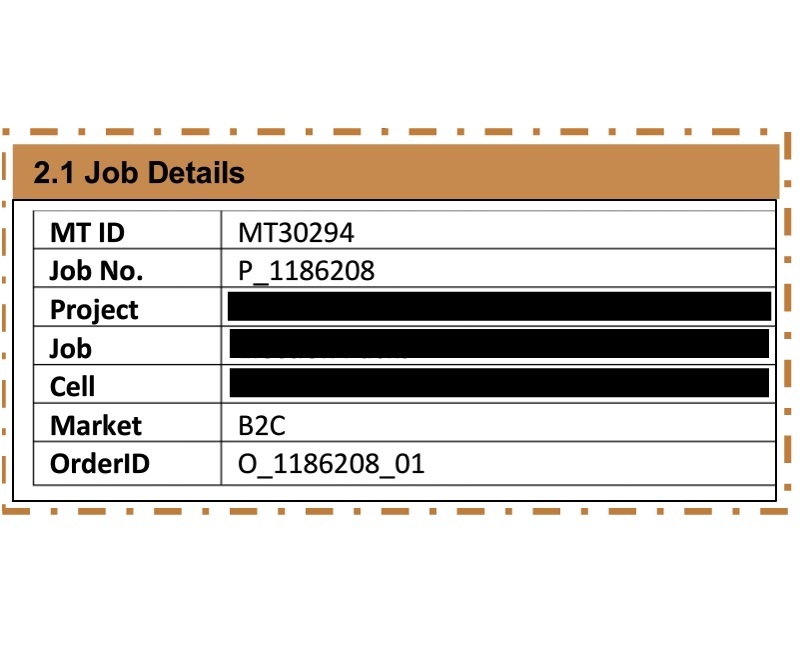 All we need to do is add a Header and Footer image to the report we generate. We can add your logo and some branding taken from your website however if you have a design team please feel free to provide us with the branding you would prefer.